Listed below are a number of commercial outfitters that run rafting trips on the Wenatchee River. Visit their web sights to learn more. For more on the Wenatchee River, click on Rafting the Wenatchee. Osprey Rafting, Leavenworth's hometown rafting company, offers a number of trips on the nearby Wenatchee River. Guides are team-building, "Whitewater Technicians" who know the right lines, cool play spots, and the sweet hits for river-jammin', foam-eating fun. Trips include complimentary local transportation, lunch, and all the gear needed for your safety and enjoyment including wetsuits, booties, paddles, lifejackets and splash jackets. The Wenatchee is the state's biggest Class III river, but also a low-hazard river. Big roller-coaster waves and plentiful wildlife - ospreys, great blue herons, belted kingfishers, black bear and deer - make the Wenatchee the most popular whitewater river in the state. 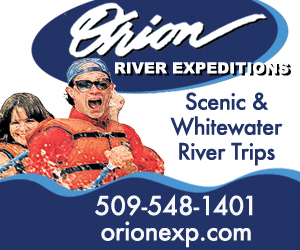 Washington's oldest and most respected river rafting outfitter, Orion - The Good Guides in the White Rafts, provides daily, unhurried river trips from May through July on the Wenatchee River. Based in Leavenworth, blue ribbon winner of King 5's Best of Northwest Travel Escapes, Orion is a full-service outfitter providing wetsuits, wetsuit boots, splash jackets, a courtesy shuttle at the river, all necessary river gear and personable, professional, well-trained guides. Choose from a trip that includes a riverside meal, or select the Late Sleeper Express and forgo the meal stop. Group discounts available. Go Big Whitewater, LLC. PO Box 365, Leavenworth, WA 98826. Phone: 206-949-9600; Toll-free: 1-888-979-9600. Leavenworth Outfitters Outdoor Center. 21312 Hwy 207, Leavenworth, WA 98826. Phone: 509-763-3733; Toll-free: 1-800-347-7934. Osprey Rafting Company. 4342 Icicle Road, PO Box 668, Leavenworth, WA 98826. 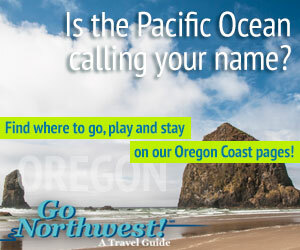 Phone: 509-548-6800; Toll-free: 1-800-743-6269. River Riders. PO Box 666, Leavenworth, WA 98826. Toll-free: 1-800-448-RAFT.